Everyone loves a classic car, at least to look at. But we’ve become a bit spoiled in recent times regarding car safety features, interior comfort, technology and any host of other touches we sometimes take for granted. Named by Saint Jeremy of Clarkson himself as one of the best cars in the world, the Nissan Skyline GT-R certainly picked up a lot of fans over its lifetime, with production running from 1969-2002. The Nissan Skyline GT-R33 came to us in 1993, and directly succeeded the Group-A-rally-racing-dominating second generation Skyline. Available in coupe or saloon body-styling, it used a six-cylinder 2.6 litre engine and produced 280 hp and 231 Nm of torque resulting in a top speed of 155 mph. As the flagship of Nissan performance, showcasing many advanced technologies for the time including the ATTESA E-TS AWD system and the Super-HICAS four-wheel steering, it retains a lot of its cool and kudos thanks to appearances in the likes of Fast and Furious, as well as games such as the original Gran Turismo. 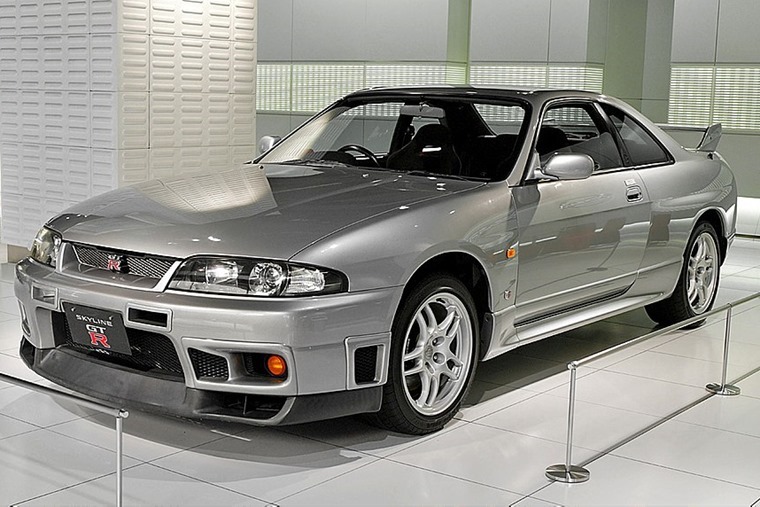 Needless to say, there’d be no current GT-R if the famed R33 and those before it hadn’t laid the groundwork for incredible performance on track and road. And while it may not carry the Skyline tag nor have the late 80s/early 90s appeal, the new Nissan GT-R has certainly inherited its predecessors Godzilla-like reputation. From the utterly ludicrous velocity, out of this world handling, torque shuffling differentials and break-neck acceleration of 0-62 in 2.7 secs, make no mistake that the current GTR stands out as Nissan’s finest hour as a manufacturer. Ford Mustang… it’s only just got here! 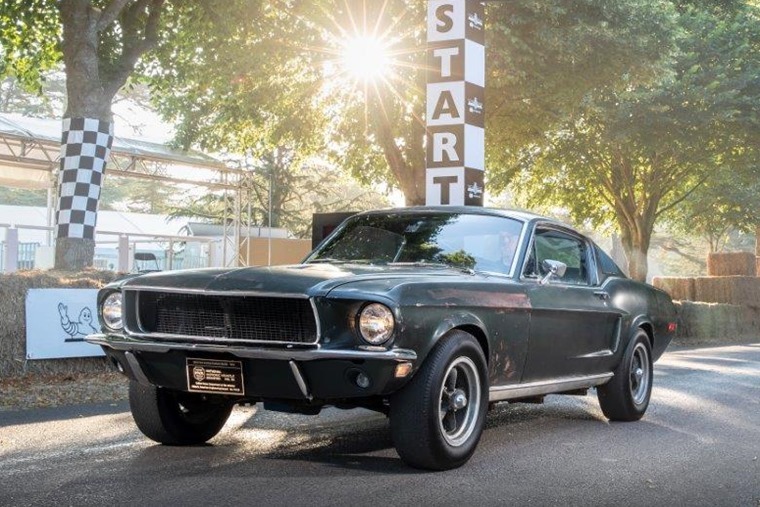 Perhaps the most iconic muscle car ever produced, the Ford Mustang was the first affordable sporty coupe and gave rise to a whole slew of competitors such as the Chevrolet Camaro, Pontiac Firebird and Dodge Challenger… none of which have ever been available in the UK. In fact, it wasn’t until 2016 that the Ford Mustang washed up on these shores thanks to Ford’s global marketing strategy. And with the brand legacy stretching all the way back to the 101 hp 1964 Mustang, there’s a lot to compare and contrast. 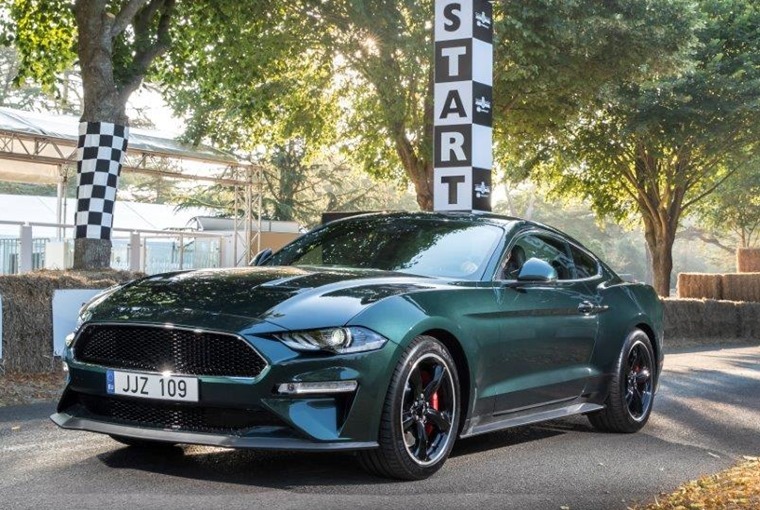 For arguments sake, we suppose the most timely comparison between classic and contemporary would be between the upcoming Bullitt Mustang limited edition model and the iconic Mustang GT Fastback 390 from the 1968 Bullitt film as both cars recently featured at Goodwood Festival of Speed. Side by side they’re equally cool, but we will admit the retro looks just come across as a bit more classy, refined and in your face. Of course, that changes when you compare interiors with the 2018 Bullitt Mustang leaving the Fastback in the stone ages. As does its performance, with the 2018 model offering 458bhp and 0-60 in 4.3 secs compared to the 320bhp and 0-60 of 6.2 secs. The Mini has been a symbol of British pride for as long as we can remember, from the swinging ‘60s to Cool Britannia, and don’t forget it was the real star of the original Italian Job (sorry Mr Caine). With its famous sliding windows, external door hinges and "moustache" grille, not to mention the transversely mounted engine which drove the front wheels via a gearbox incorporated into the sump of the engine so they could share the same oil, the Mk I Mini was a significant piece of design for the time. 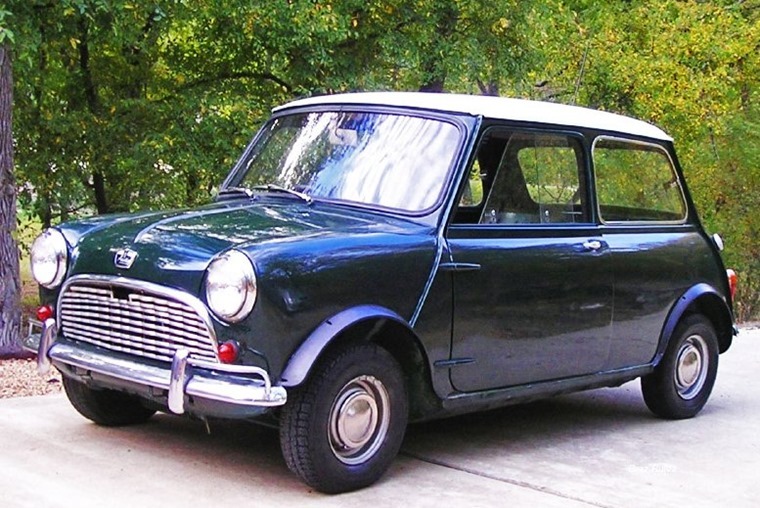 Alas, the Mini Mk I truly is a relic of times gone by and probably the most unsafe car you could find yourself in. In fact, if you presented it to Euro NCAP complete with its flimsy chassis and 10in wheels it would probably be the first car to get a minus star safety rating. The less said about the top speed of 72 mph and 0–60 of 27 seconds the better too. So with that in mind, why wouldn’t you opt for the Mini Cooper? Yes, we are aware they’re now owned by BMW, but the point is that even to this day the Mini retains a lot of the aspects that people love about the vehicle. 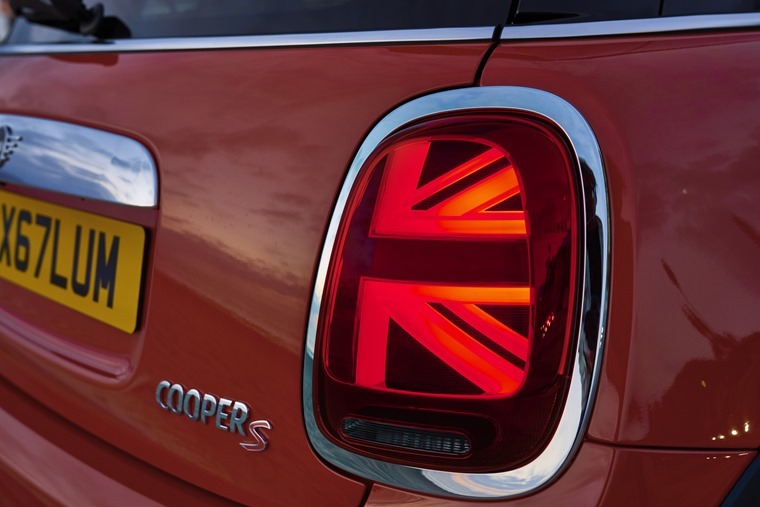 Featuring everything from the nationalism at every turn (even the rear lights have the Union Jack) and a funky interior to the more agreeable 0-60 time of sevens seconds … oh and it’s about a billion times safer too. Jaguar E-Type… have you considered going one better alphabetically? Manufactured between 1961 and 1975, it could be argued that British car design peaked with the Jaguar E-Type and has never been bettered as far as pure class and elegance goes. Based on Jaguar's D-Type racing car, its combination of beauty, high performance and competitive pricing meant the E-Type was an immediate success and its popularity endures to this day as an icon of the automotive world. Even Enzo Ferrari called it the most beautiful car ever made! Factor in its performance – from the 150 mph top speed, sub-7-second 0 to 60 mph acceleration, and independent front and rear suspension and it’s hard to state just how much this car pushed the industry forward. The F-Type has nowhere near matched the E-Type’s influence or plaudits but… *squints at screen* it’s a kind of similar bodyshape? Away from updated styling you’ll also find it’s performance is thoroughly modern, with the 3.0-litre supercharged V6 engine model we reviewed a while back proving to be exceptional thanks to its 375bhp eight-speed automatic transmission, 171mph top speed and 32.1mpg. If you put E and F-Type in front of us it would be a very tough choice to make. 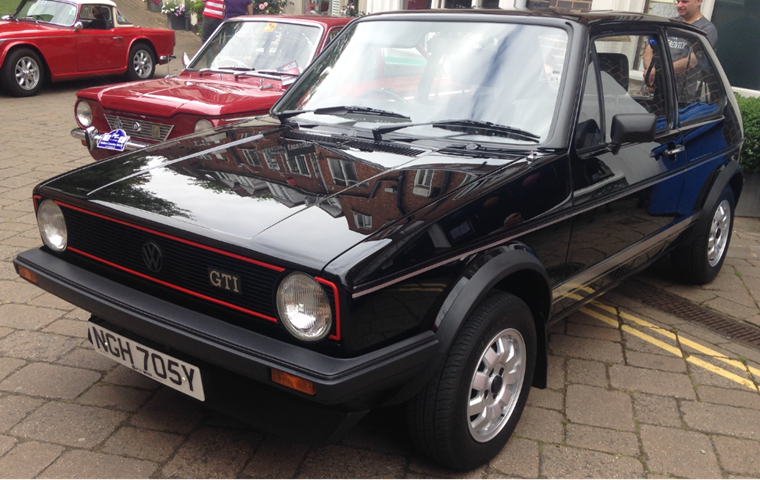 As the first ever hot hatch, the Mk I Golf GTI retains fans to this day thanks to its legit steering-feel, strong engine and being the fastest Volkswagen ever (circa 1975). 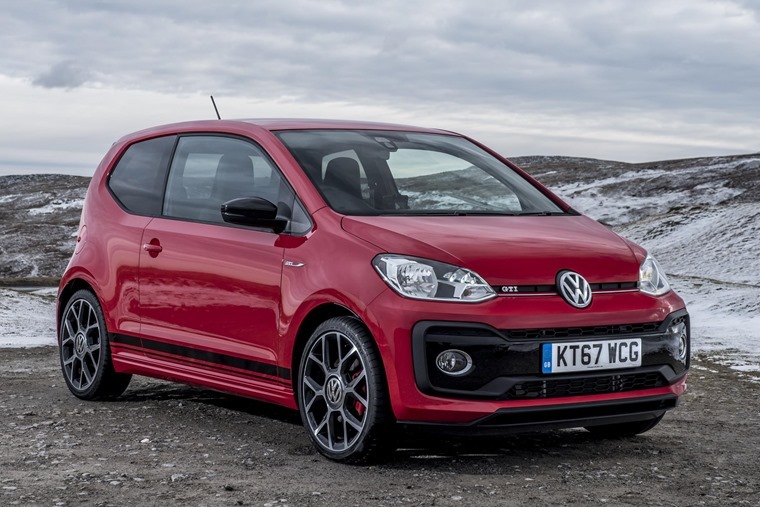 Many people scoffed when Volkswagen marketed the new Up GTI as the natural heir to the original Golf GTI, but look closer and you can see why parallels were made between the self-appointed ‘people’s supercar’ and the original hot hatch. “But… there’s still a Golf GTI, why wouldn’t you compare like-for-like?” I hear you mumbling at your screen. Well dear reader, allow me to explain. Despite a myriad of differences, including everything from the class (The Up is a warm city car, the Golf GTI is a hot hatch), engine size (the MK I GTI had a 1.6-litre naturally aspirated four-cylinder petrol engine, while the Up GTI features a 999cc three-cylinder turbocharged petrol) and weight (the Up is 1,070kg but the original Golf GTI is 810kg) it is enough of a spiritual successor in size and spirit and as equally fun to drive that Volkswagen will live or die by this piece of marketing. Oh and they have the same tartan upholstery.